This has been one of the leakiest pre-E3 months of all time, it seems like there has been something revealed, either intentionally or as damage control, every single day of the week. While a lot of the things we'll discuss are rumors and shouldn't be taken as confirmation, it's still exciting to get hyped about! Check out the biggest rumors of E3 2018 that caught our eyes. 3. Microsoft Characters in Super Smash Bros. 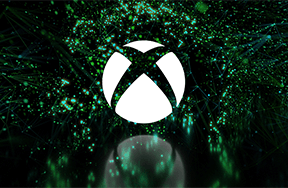 There's a little bit of a credibility to this rumor as Microsoft and Nintendo have been buddying up since the Minecraft cross-play announcement during last year's Microsoft E3 conference. And Phil Spencer has been making the push on Twitter, leading to this rumor becoming one of our official Xbox predictions for this year's E3. 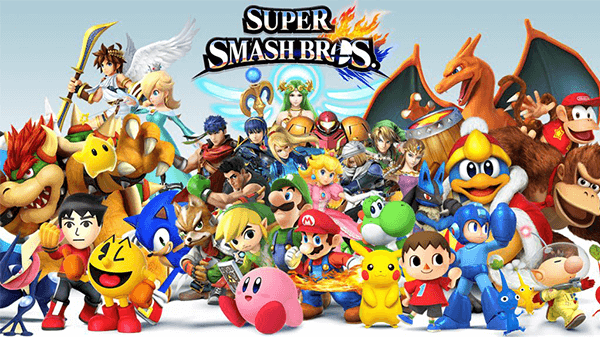 However, the rumors haven't stopped there and players have speculated that we could see an even heavier level of third-party inclusion in the new Super Smash Bros.
Super Smash Bros is about to get a larger roster during their E3 showing. This is where the rumor really starts to get crazy though, there's speculation that characters like Joanna Dark of Perfect Dark, the titular Banjo and Kazooie, and Steve from Minecraft could appear in the game. Personally, the only thing that really seems viable to me would be the return of Banjo to his home on Nintendo but at the moment it's all up in the air. While some gamers are nostalgic for the original king of skating games, Tony Hawk Pro Skater, EA's Skate series took a (somewhat) more grounded approach to the gameplay. 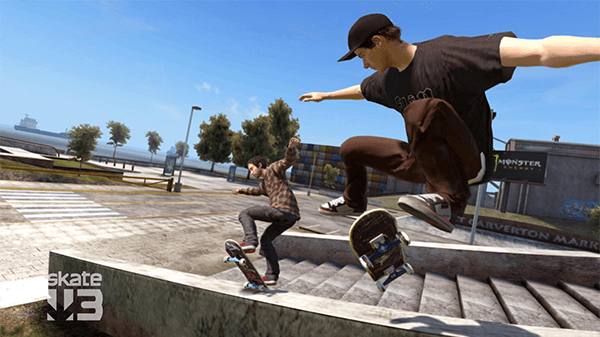 Players have been hounding EA for years to invest in a Skate 4 but the publisher has barely acknowledged the series since the launch of Skate 3 on 360 and PS3. The game's servers were turned off well-after the release but, seemingly out of the blue, EA recently turned them back on to add fuel to the Skate 4 hype fuel. 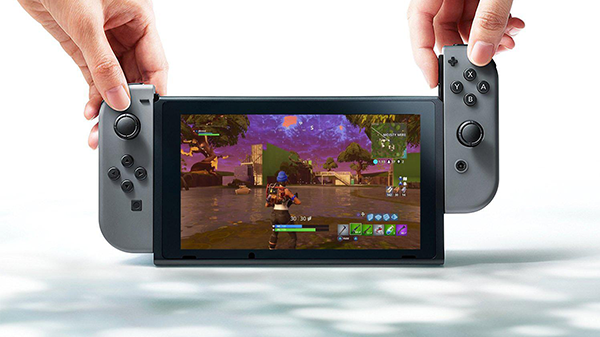 This rumor is all but confirmed at this point, Fortnite is coming to the Nintendo Switch. 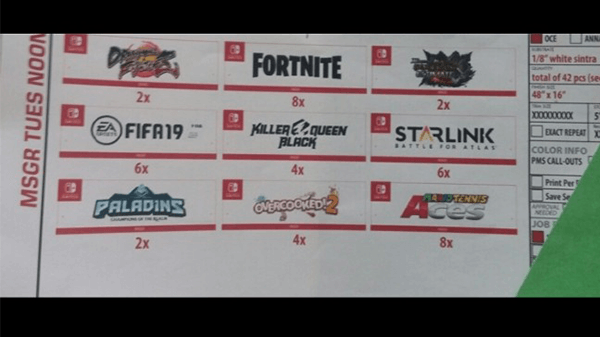 Aside from being a game that will be absolutely perfect for the Switch, Fortnite was speculated for Nintendo's console since an image, which you can see below, revealed a handful of titles that would appear during Nintendo's E3 show. Of course, a lot of this could be faked up but several industry insiders have confirmed the validity of the games on here. Also, I'm hyped to see that one of my favorite fighting games will be coming to my favorite portable console, Dragon Ball FighterZ! So that gives us a bit of speculation that Fortnite will come to the Switch at some point but there's even more information to suggest that the game will be playable during the week of E3! An update on the Nintendo eShop was analyzed by some data-miners and they found a Fortnite image, which means that something involving Fortnite is ready to go live on the Switch. Nothing is confirmed but keep an eye open during Nintendo's show, which we'll give you the highlights of right after it goes live! 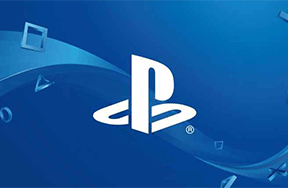 Have you heard any crazy E3 rumors? Which announcements are you hoping to see? 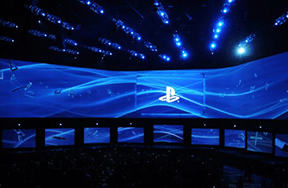 Share your E3 hopes and dreams below!